Other than pure randomness, it is very hard to find hidden restaurants. What? You see, we know all the usual places to eat. They are in everyone's top-10 list, blogged extensively about and/or heavily promoted. The small little places are usually either ignored or only known by regulars. For someone like me, to find out about these places, there are only a few ways. 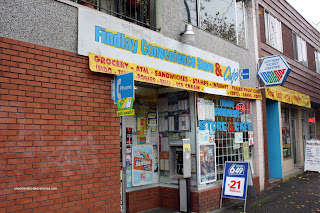 I could merely spot it while driving, research the internet or read about it from one of the many other food blogs in Vancouver. However, probably the most valuable resource are other people. This is the case here. 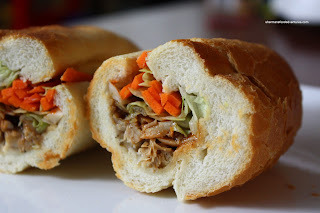 While slurping on noodles at Hokkaido Ramen Santouka (y es, for the 3rd time, I like the place...), Rich Guy's friend tipped me off about a small convenience store that serves up good Banh Mi. When he explained that it is located right behind the Croation Cultural Centre off of Victoria Drive, I was thoroughly confused. I really don't recall a Vietnamese sandwich shop around there (and I know the area well!). Obsessively curious, I made it a pit stop on the way home. 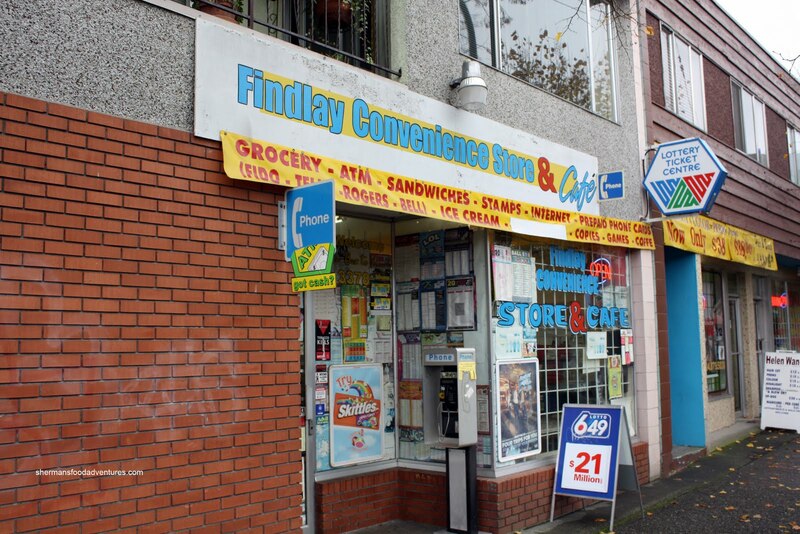 From the outside, it looks very much like any other family run corner store. Except, there is enough posters plastered on the window to enhance the " shadiness" quotient. Rich Guy was a bit nervous since he is not one to visit hole-in-the-walls or dives. McDonald's is a stretch for him! We eventually made it in and were greeted by a very friendly couple. Surprisingly, this little store has a pretty diverse menu. In addition to Banh Mi, there are burgers, noodle & rice dishes and regular sub sandwiches. Trust me, no one would expect this by just looking at the outside. I got one each of the Special, BBQ Pork and Chicken subs. 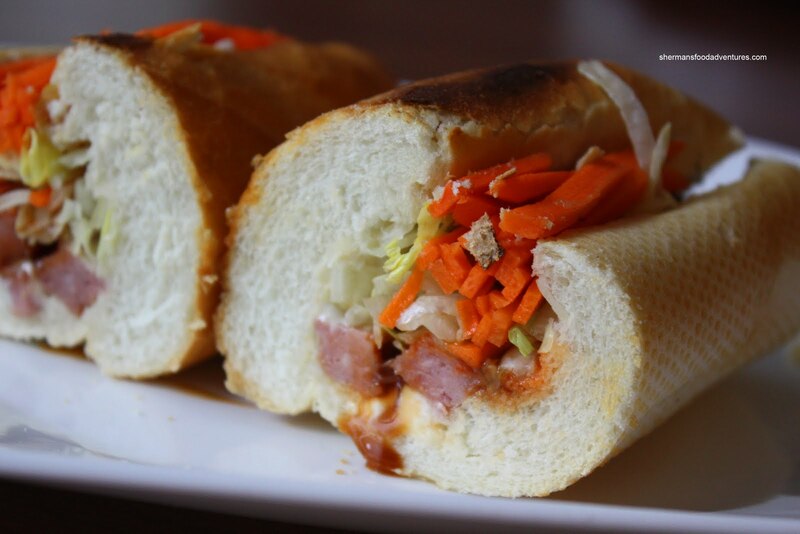 The Special consisted of Vietnamese ham and roast pork with pickled carrots, lettuce, butter-mayo and a savoury hot sauce reminiscent of Viet Sub. Despite the simple ingredients (no cilantro, onions, hot peppers, fish sauce or pate), the sub was quite good. The bread is crunchy on the outside and soft on the inside (much like Empress Bakery). What makes the sub is the sauce - lots of flavour and a bit spicy. The BBQ Pork sub added a touch of sweetness from the processed meat and the Chicken sub ended up to be similar to the Special. 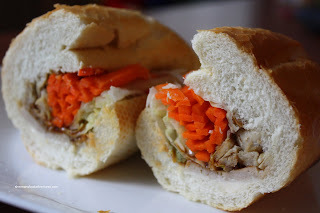 Despite not the resembling Banh Mi you'd find at Ba Le or Tung Hing, these were still good in their own way. Enough so, I'd probably get them again. This is why I love your reviews: This place, very close to my home, is almost a secret, something that only a real food pro, investigator of the natural laws of the food adventures, would know.